Dubai, UAE: Musafir.com, the UAE’s first premium-experience travel website, has announced the inauguration of a new flagship branch at Dubai International Financial Centre (DIFC). The new Musafir.com store was inaugurated by Sheikh Mohammed bin Abdullah Al Thani, Chairman of the Department of Statistics and Community Development and Co-founder of Musafir.com, in the presence of Sachin Gadoya, Managing Director and Co-founder of Musafir.com, and Saleh Al Akrabi, CEO of DIFC. 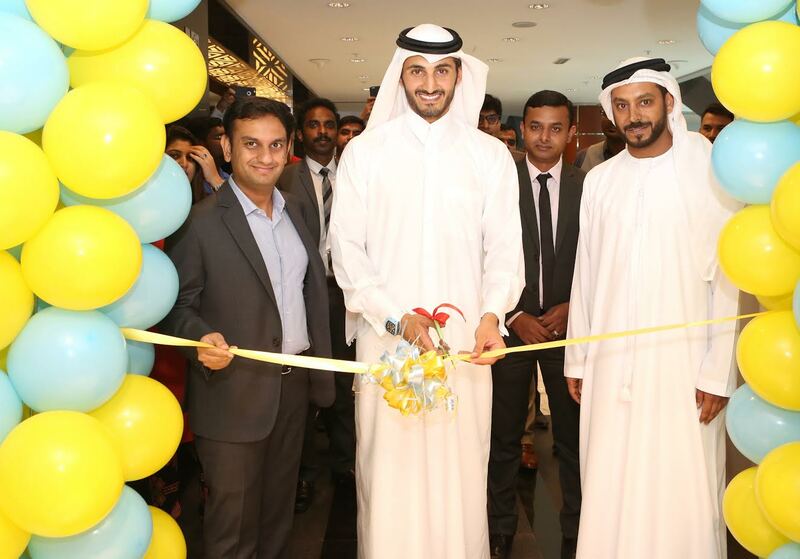 The inauguration marks the 12th store opening for Musafir.com in the UAE – one of six new store openings lined up before the end of 2016 –and represents a key milestone in the travel provider’s ambitious regional expansion strategy. With a specific focus on the corporate travel segment, the new branch located in the heart of Dubai’s financial district is expected to increase Musafir.com’s corporate travel bookings by 35 per cent over a period of next six months. With the recently upgraded online corporate tool that helps organizations manage their employees travel with ease, Musafir.com expects to see tremendous growth in their corporate clientele. This follows 60 per cent growth in Musafir.com’s corporate travel bookings since January 2015. In addition to corporate travel, the new Musafir.com branch will focus on the brand’s diverse holiday offering with more than 3,000 destinations and 85,000 properties worldwide. It will provide the full range of Musafir.com’s products and services including flights, hotels, holidays, worldwide visas and UAE tourist visas. Musafir.com is part of Universal Travels and Tourism in the UAE. The word Musafir means ‘traveller’ in both Arabic and Hindi . Established in 2007, the site is the brainchild of Sheikh Mohammed bin Abdullah Al Thani, Sachin Gadoya, and Albert Dias. The company provides travel management solutions to corporate customers and leisure travel solutions to retail customers including flights, hotels, and holidays. Musafir.com currently offers flights to 3000 destinations on over 270 airlines and 85,000 domestic and international hotel properties and now operates from 12 offices across UAE and India with 8 new locations in the pipeline.